The ‘learned Dr Plot’, who is best known as a naturalist, antiquary, and first keeper of Oxford’s Ashmolean Museum, was born at Sutton Barne, Borden, Kent. 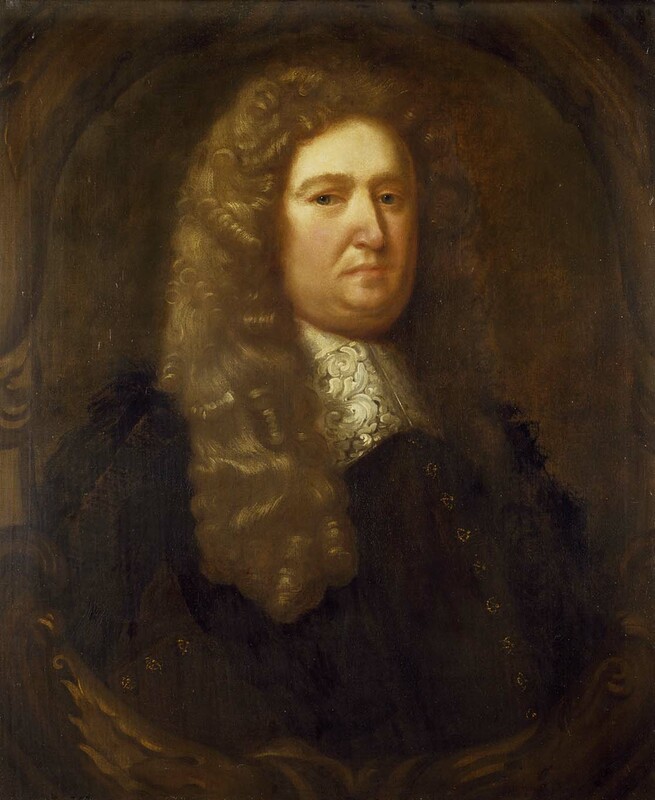 Educated at the Free School in Wye, in 1658 he matriculated at Magdalen Hall, Oxford, where subsequently he served as dean and as vice-principal, before moving to University College in 1676. It was initially as a student and then as a teacher that he became involved in the activities of Oxford’s circle of natural philosophers at the centre of which was first Robert Boyle and later Thomas Willis. Plot resigned frm the chair of chemistry in November 1689, possibly on account of his intended marriage with Rebecca Rebecca Burnam (née Sherwood) in the summer of 1690. Citing insufficient stipend as the reason he tended his resignation as Keeper of the Ashmolean the following winter (in which post he was succeeded by Edward Lhwyd), whereafter he returned to Sutton Barne. Despite stating that he would ‘never publish’ more of his ‘Histories’, Plot appeared to be contemplating a ‘Natural History of Middlesex and Kent’ as well as one of London and Middlesex; he both published proposals and undertook tours of collection before, through severe illness, he died in Kent on 20 April 1696. Between 1920 and 1945, Robert Gunther, the zoologist, antiquary, and historian of science, brought out the fourteen volumes of his Early Science in Oxford. As founder of the Museum of the History of Science, which is housed in the very building where Plot presided over the fledgling Ashmolean, Gunther made in these volumes a significant contribution to the archaeological study of science In Oxford, and he edited and published a significant number of the letters of Robert Plot. Cultures of Knowledge has collated the metadata, primarily from volume XII, of these letters published by Gunther to form the beginnings of a calendar. Thanks are due in particular to Digital Fellow Callum Seddon for working his way through Gunther’s volume to enter the metadata, and to EMLO intern Antonio Geremicca for his proofreading work. R. T. Gunther, Early Science in Oxford, vol. IV and vol. XII (Oxford, 1925 and 1939). EMLO will continue to enhance, update, and enrich the metadata in this catalogue, including the completion of manuscript details; work will be scheduled also to supplement the calendar with metadata for the letters that were not published in Gunther’s volumes. In addition, it is hoped that students in Oxford will engage with this catalogue as part of their coursework. Links to interpretations of letters that reside in alternative catalogues in EMLO will be inserted shortly so users are able to toggle between versions. R. T. Gunther, Early science in Oxford, 14 vols (Oxford, 1920–1945). A. J. Turner, ‘Plot, Robert (bap. 1640, d. 1696)’, Oxford Dictionary of National Biography (Oxford University Press, 2004). Robert Plot, The Natural History of Oxford-shire, being an Essay toward the Natural History of England (Oxford, 1676), facsimile edition at the LInda Hall LIbrary Digital Collections. 1 R. T. Gunther, Early science in Oxford, 14 vols (Oxford, 1920–1945), vol. III, p. 320.